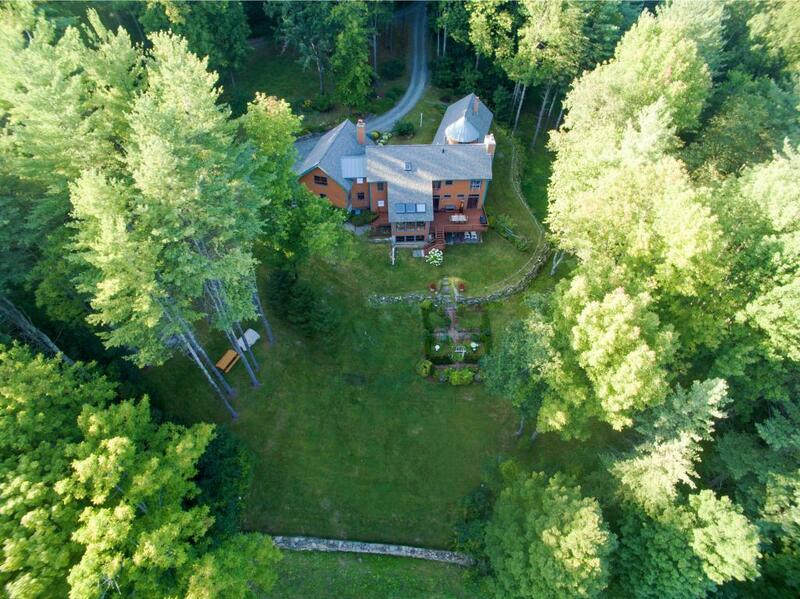 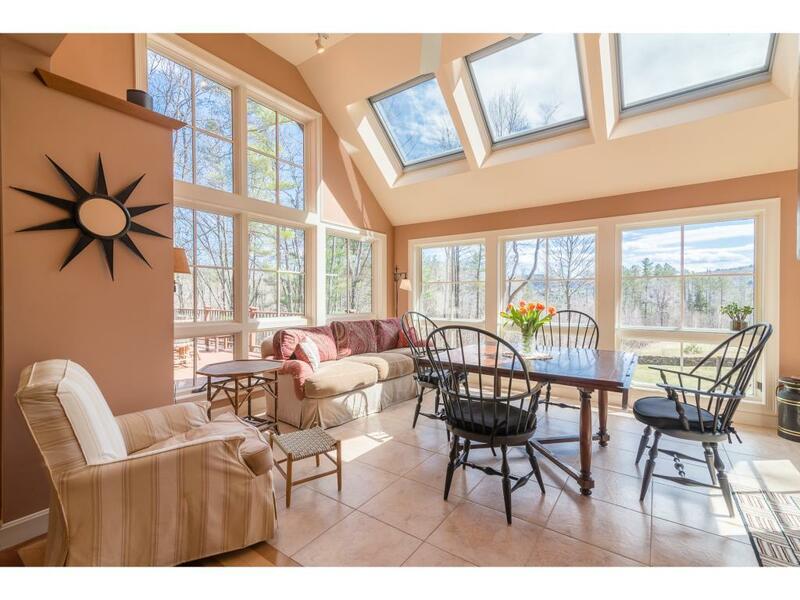 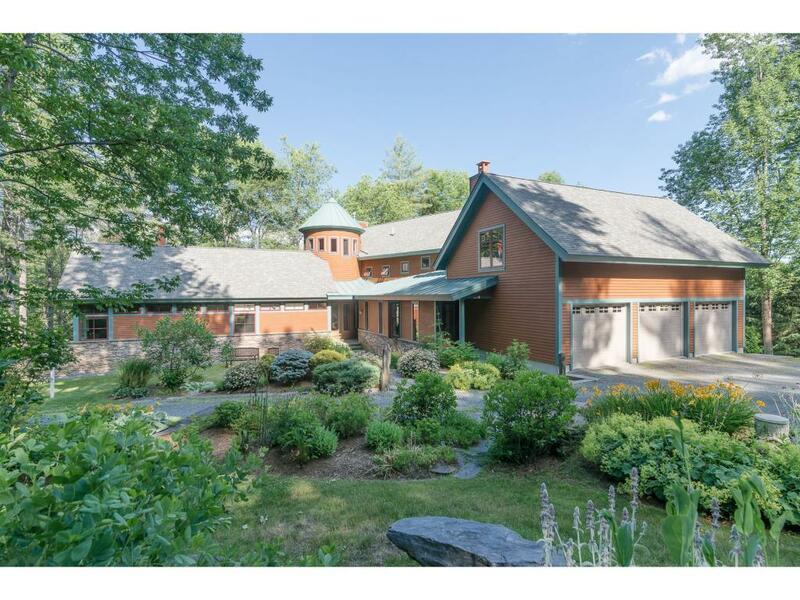 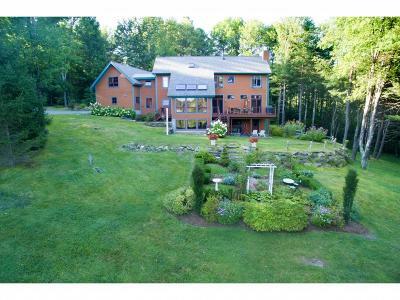 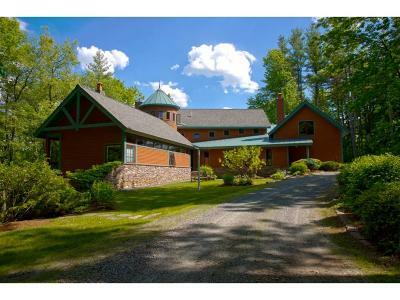 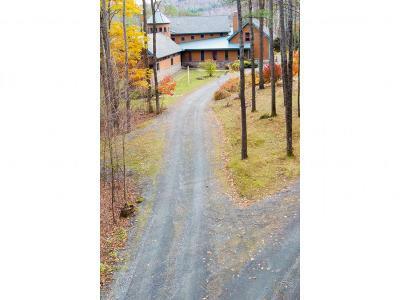 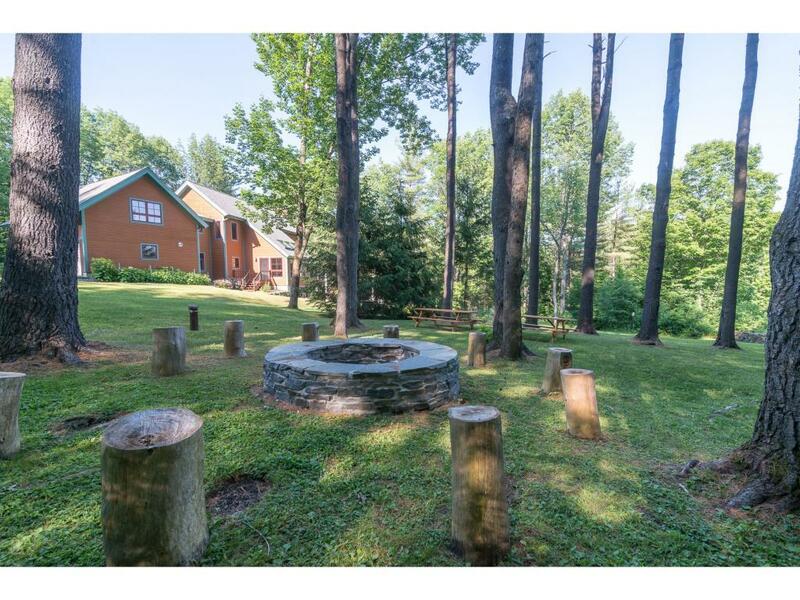 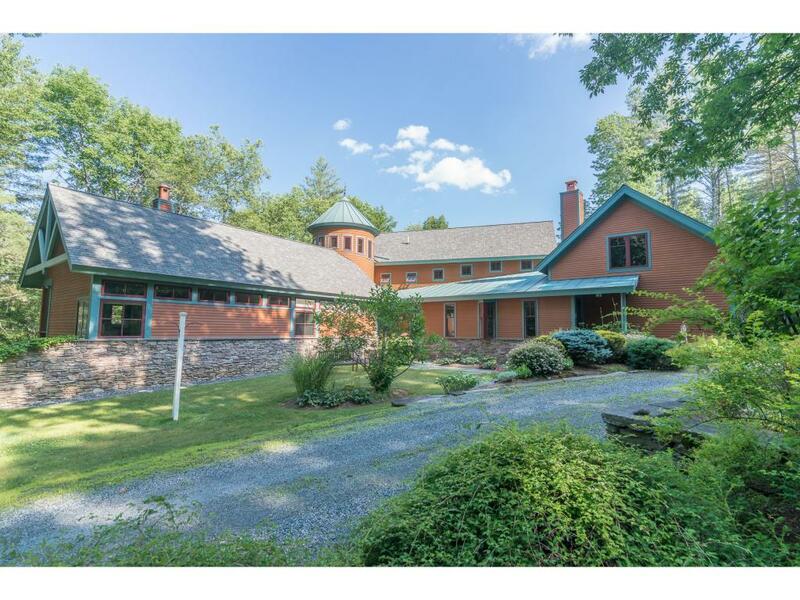 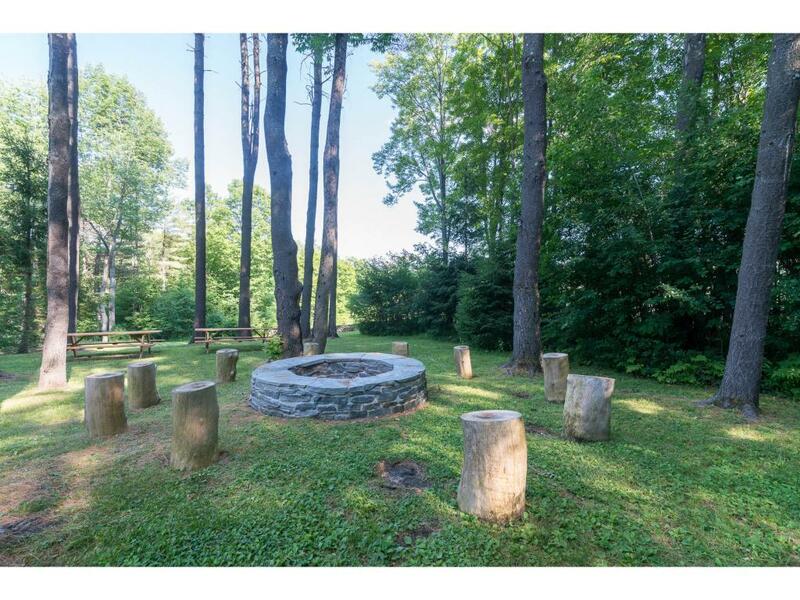 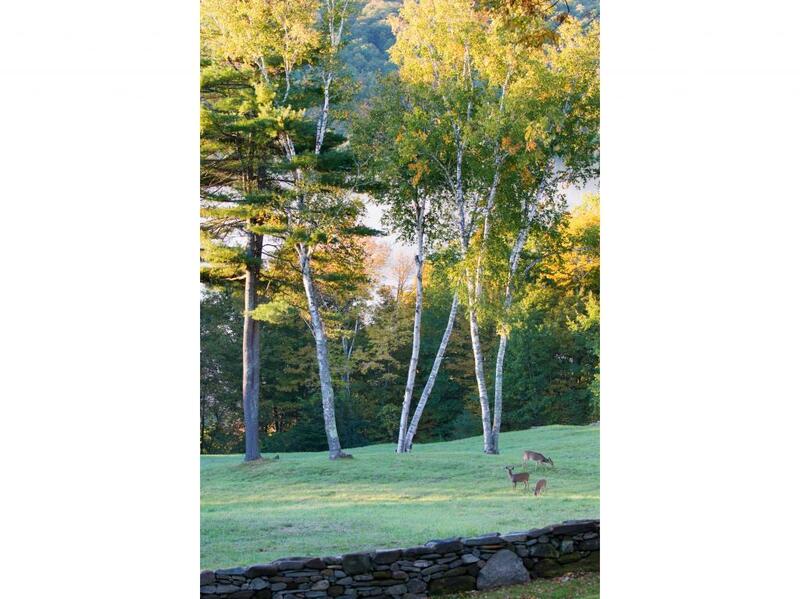 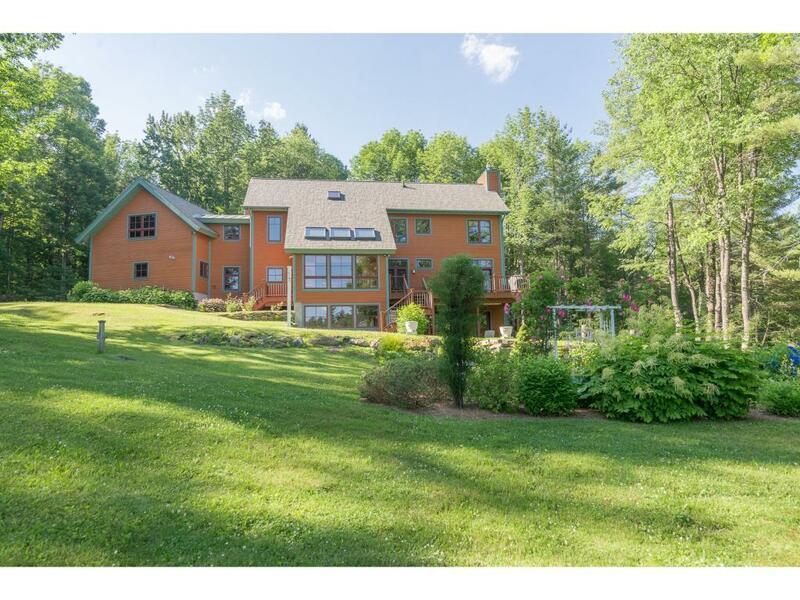 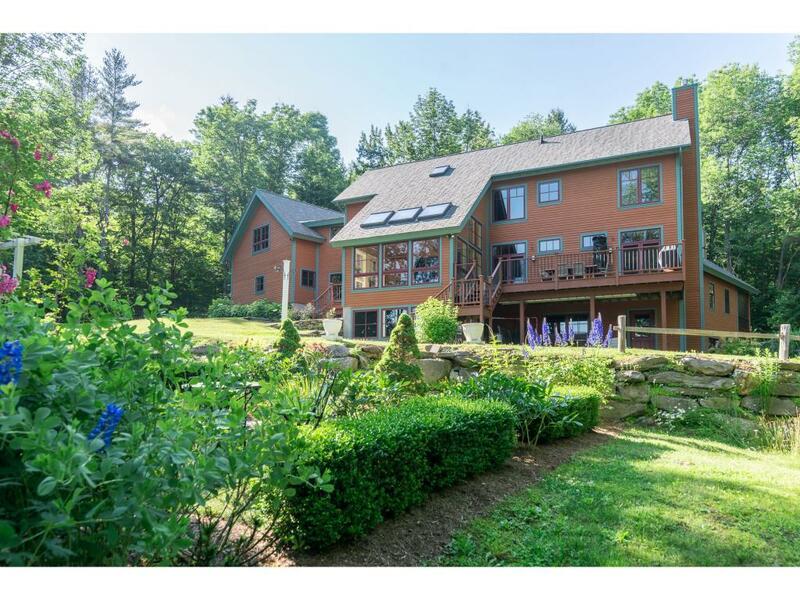 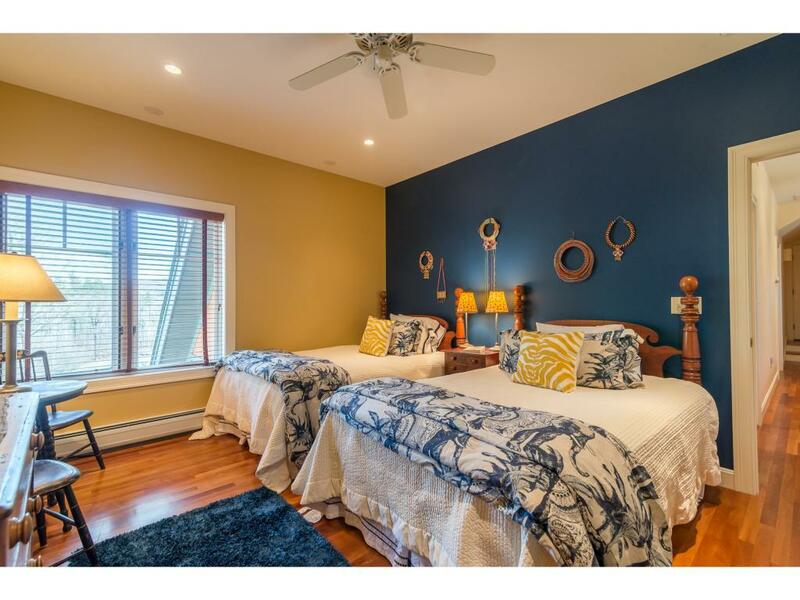 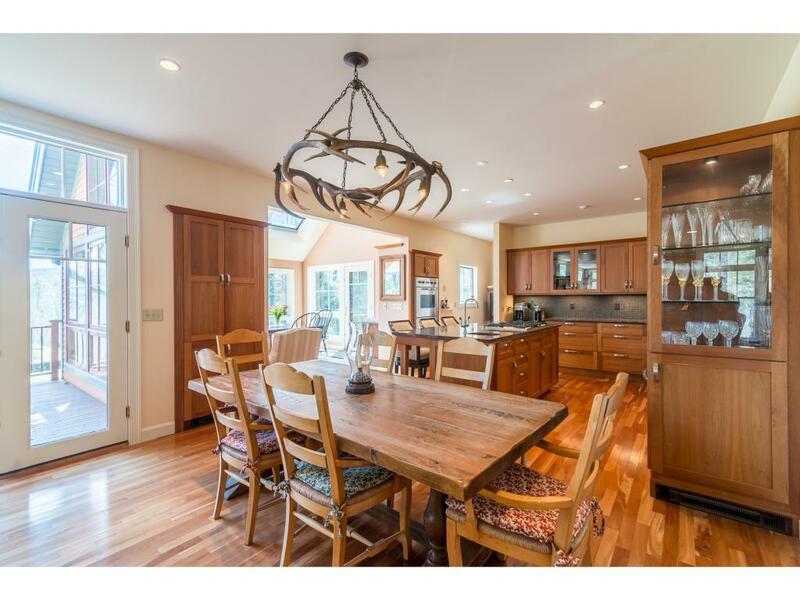 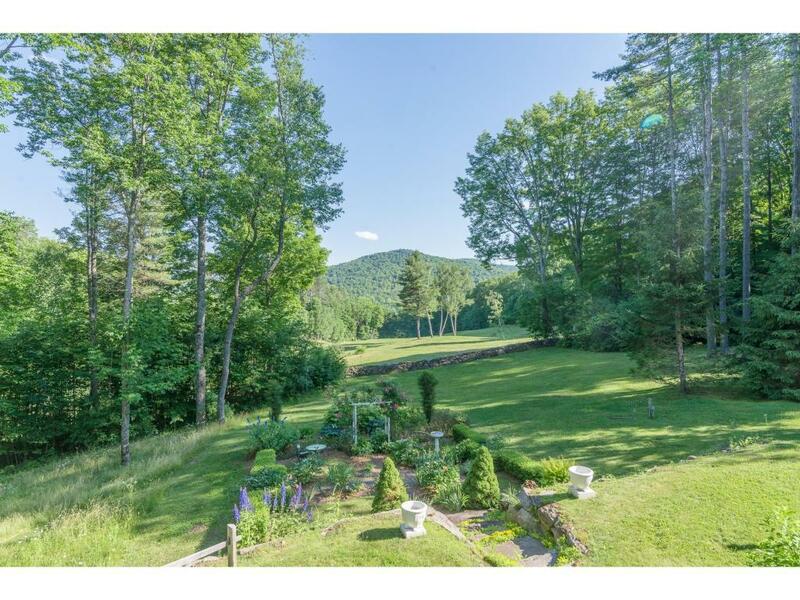 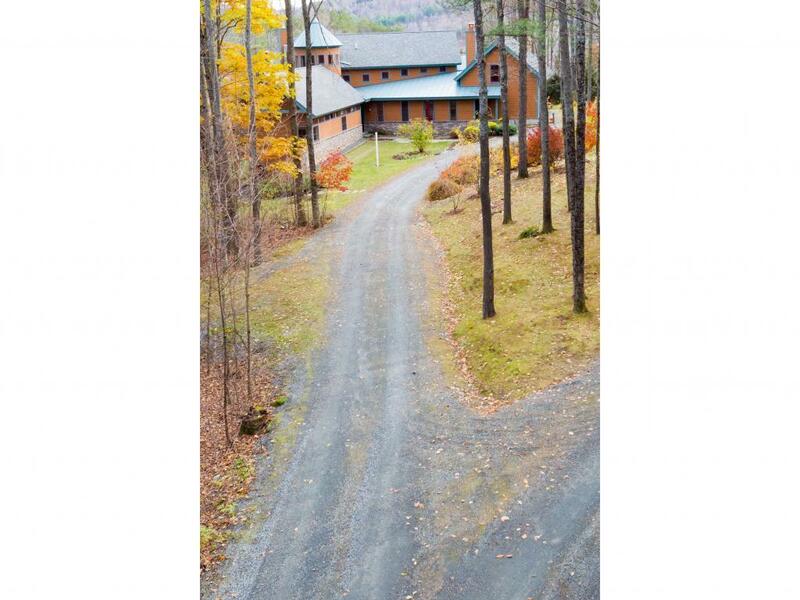 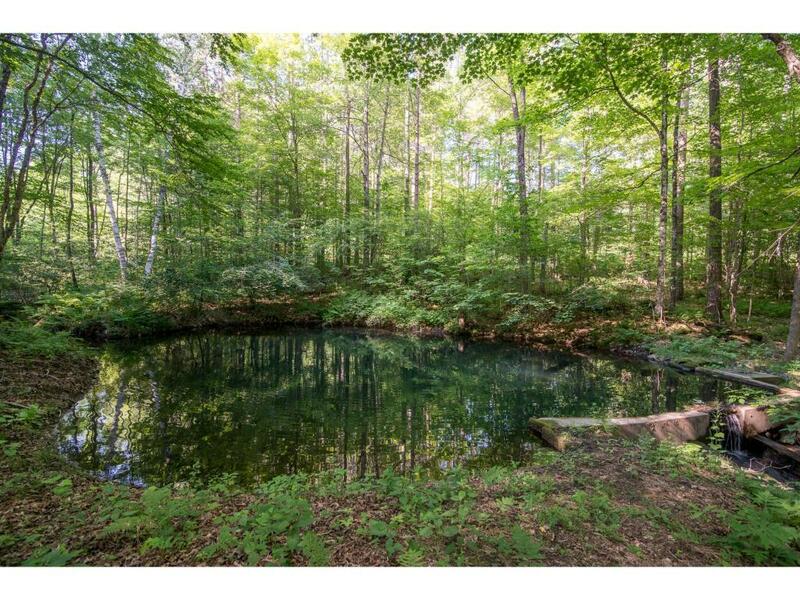 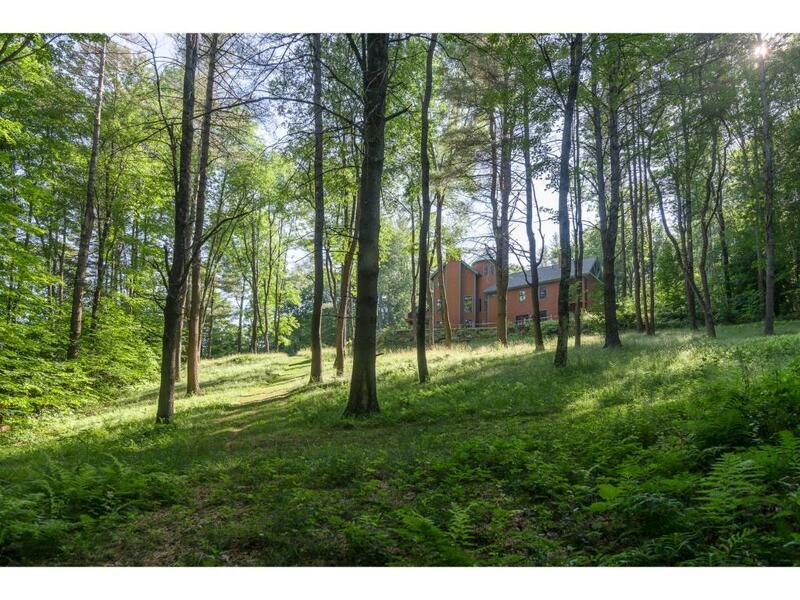 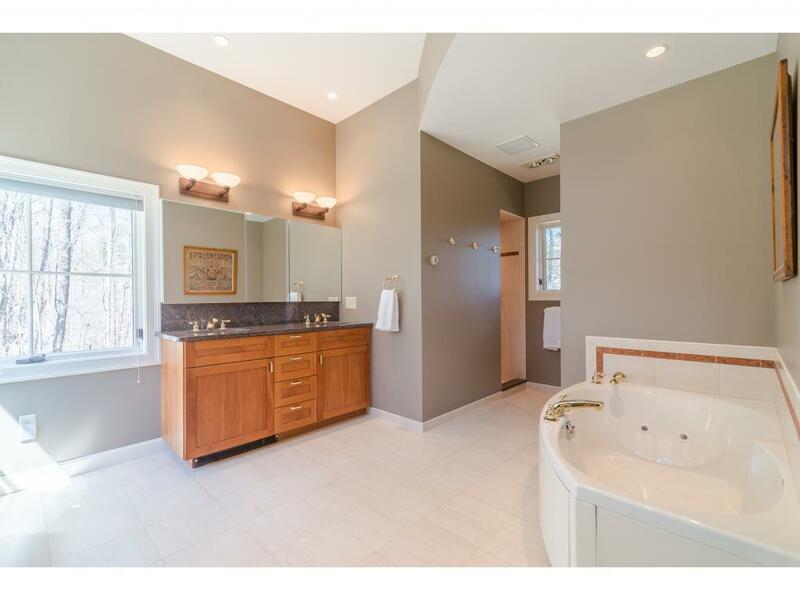 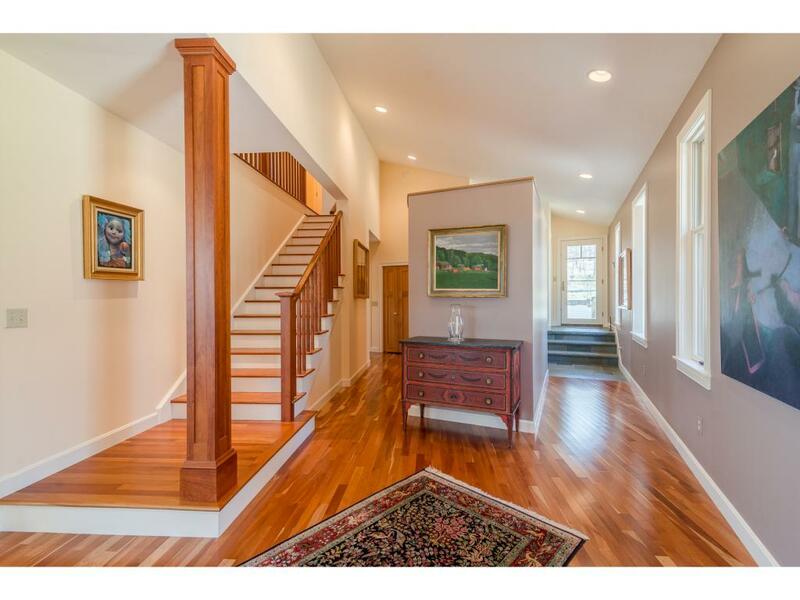 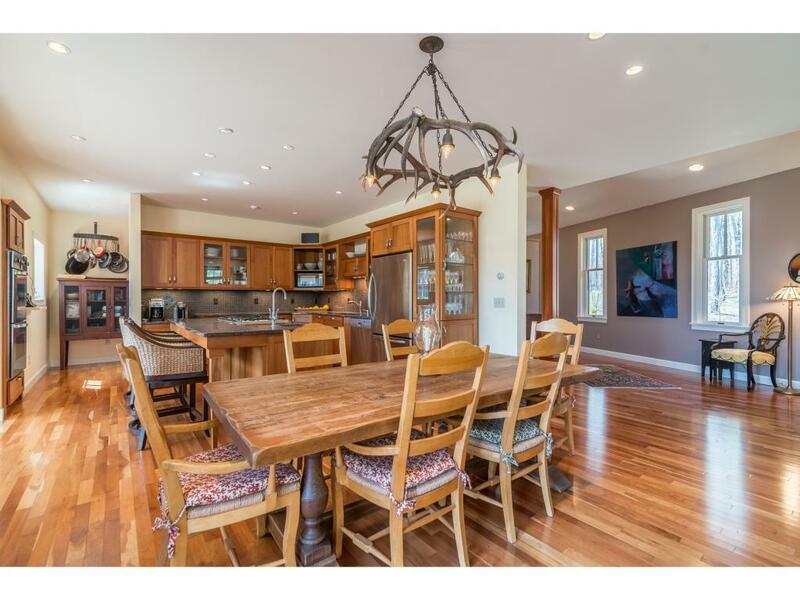 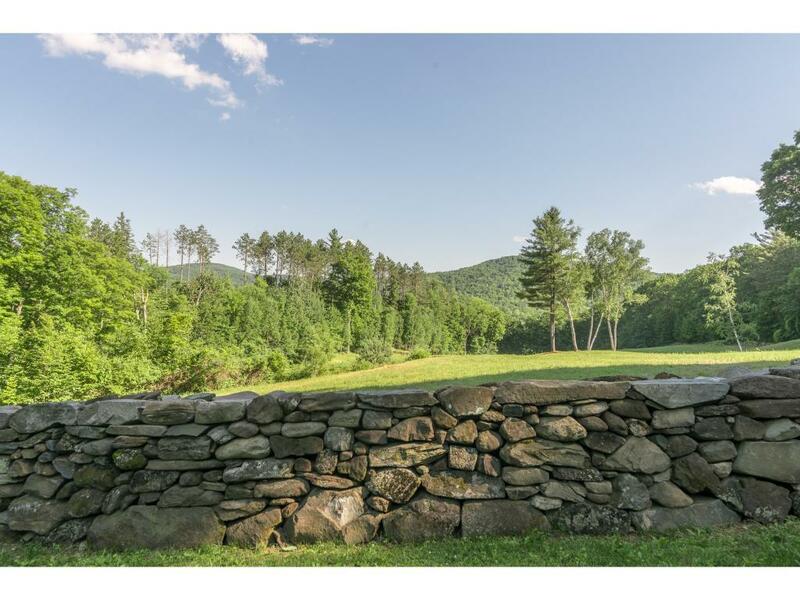 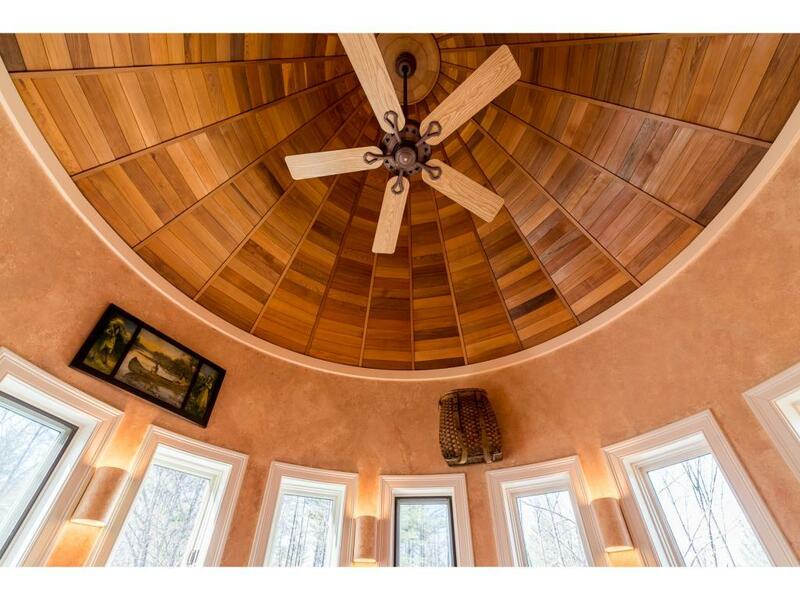 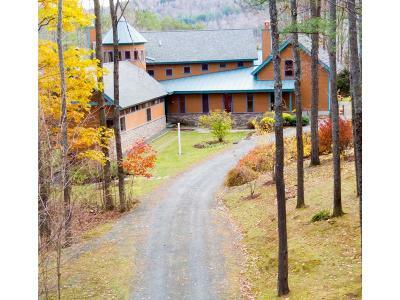 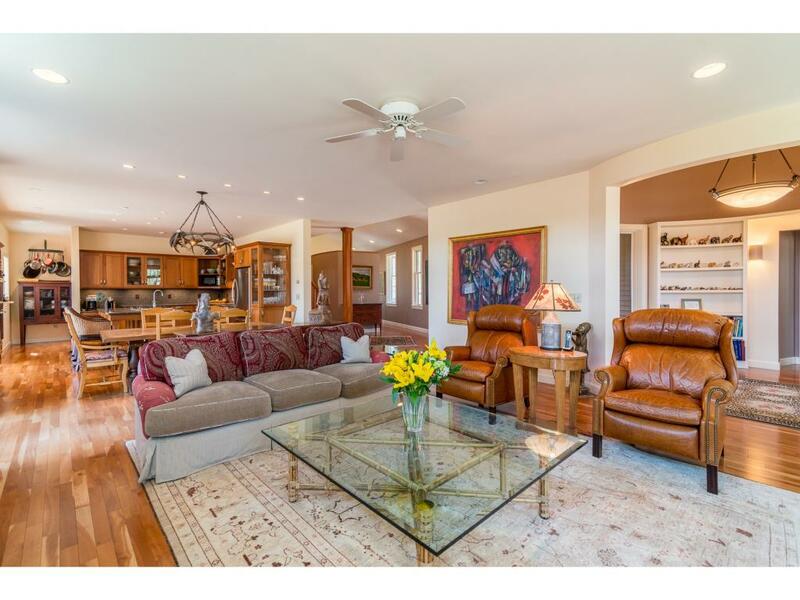 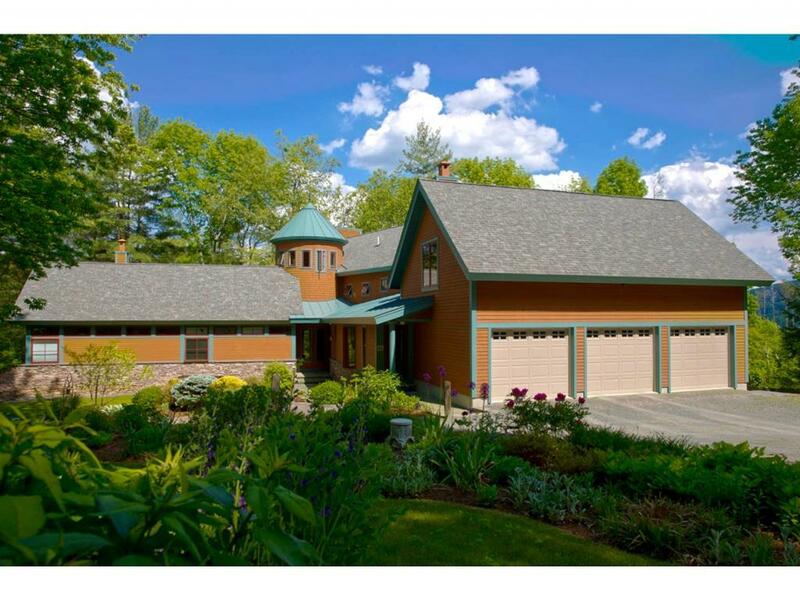 Constructed in 2003, this custom home on just under 11 acres of beautifully manicured land was designed with the vernacular architectural style of Vermont barns in mind and enjoys a location that is convenient to Woodstock Village and nearby Killington and Okemo ski resorts. 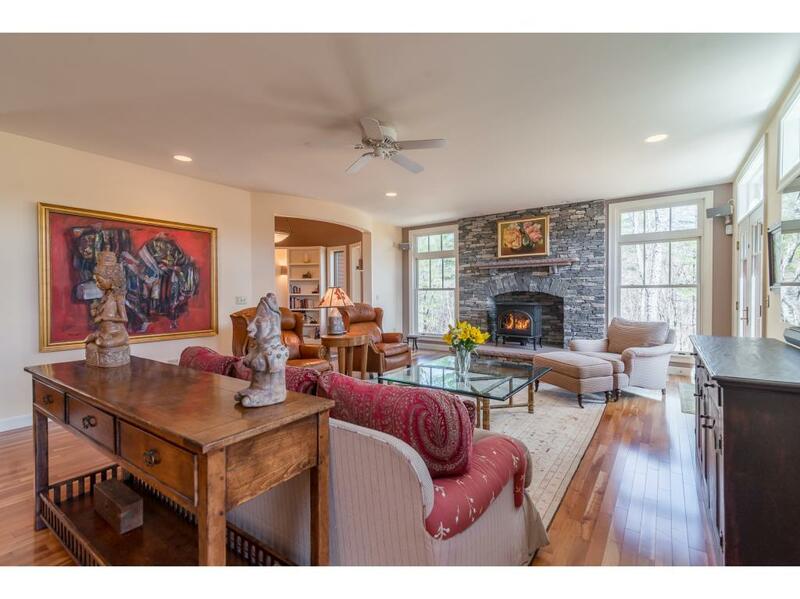 The center of the open interior floor plan house is a magnificent Great Room with oversized windows, high ceilings, cherry floors and a granite hearth with gas stove. 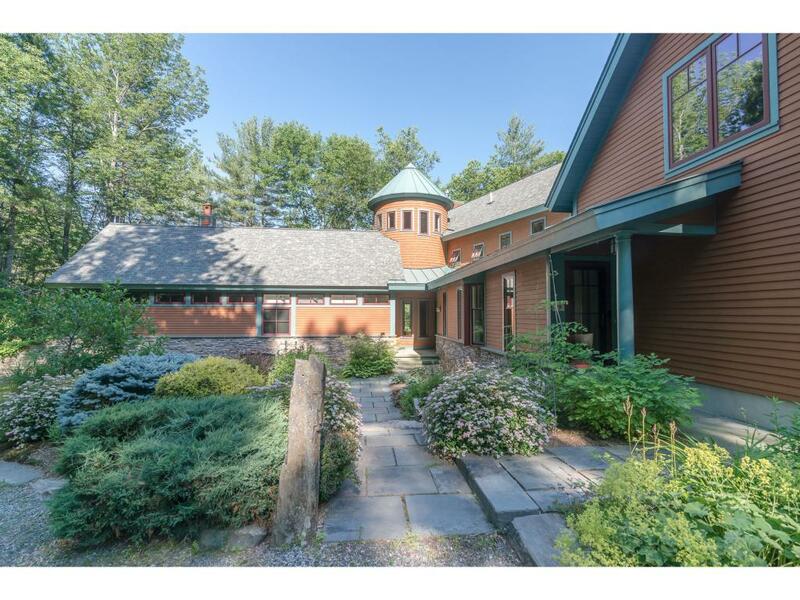 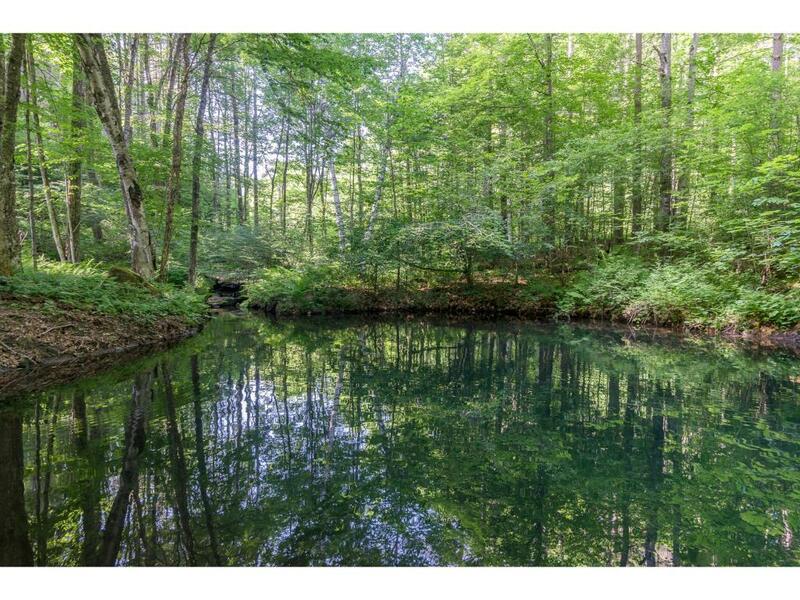 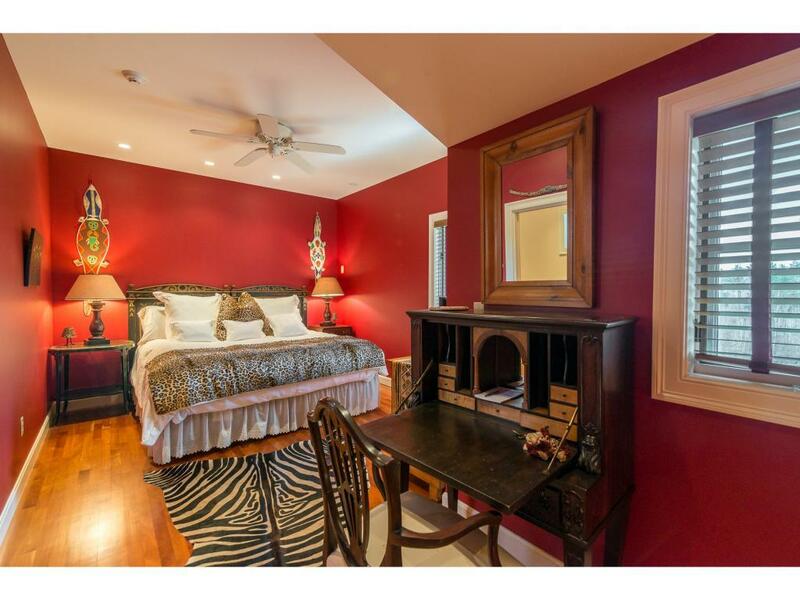 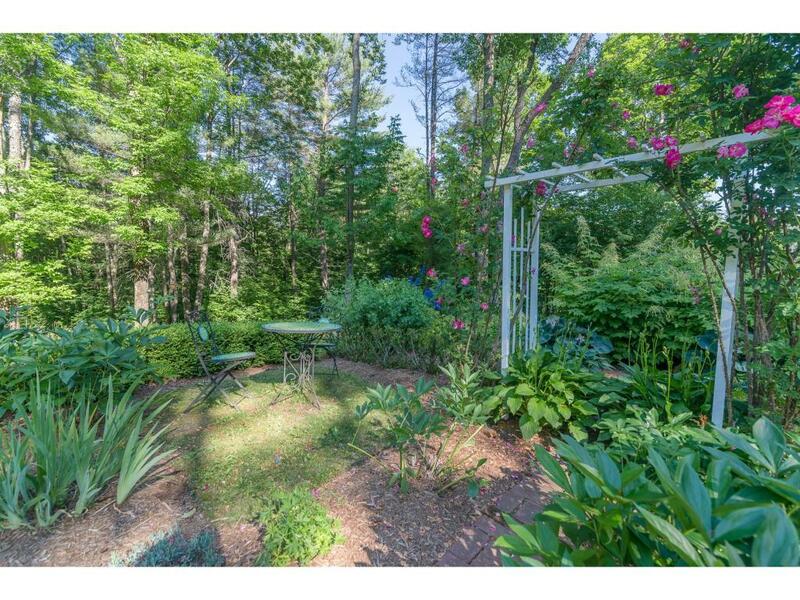 The Great Room opens onto a mahogany deck that overlooks established perennial gardens, stonewalls, a brook fed pond stocked with trout and mountain views to the south. 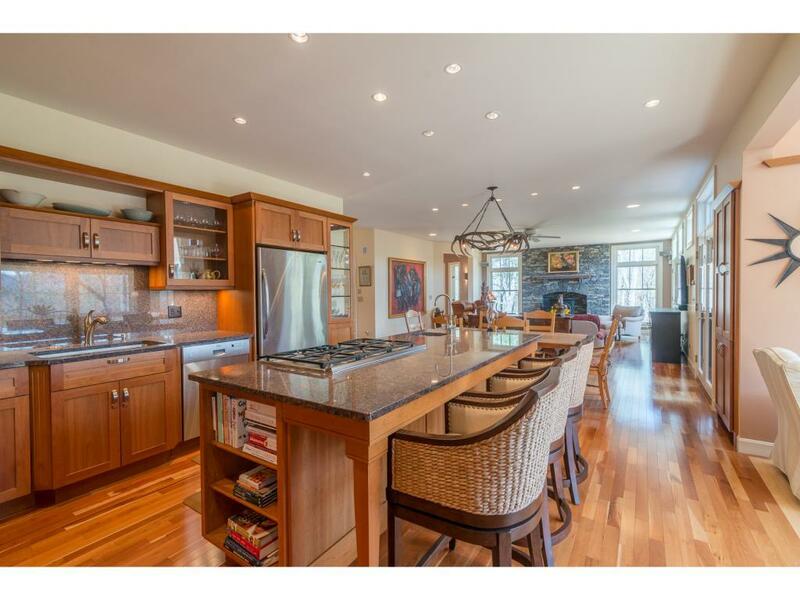 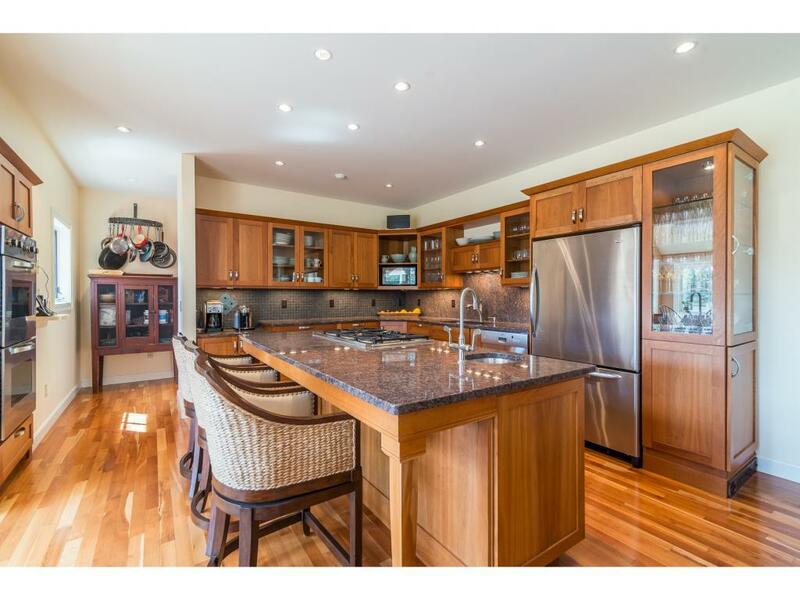 A chefÃ¢s kitchen with granite counters, cherry cabinetry, a generous center island work space and stainless appliances opens onto an inviting south facing sunroom with a vaulted ceiling and oversized windows. 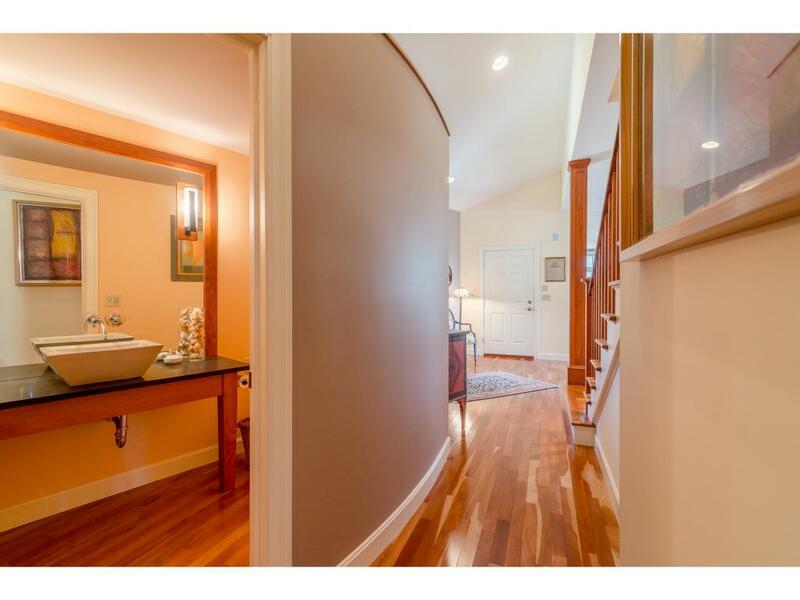 Three bedrooms and two baths on the second floor long with 1600 sqft of additional space ready for finish in the lower level & heated, attached, direct entry 3 car garage.